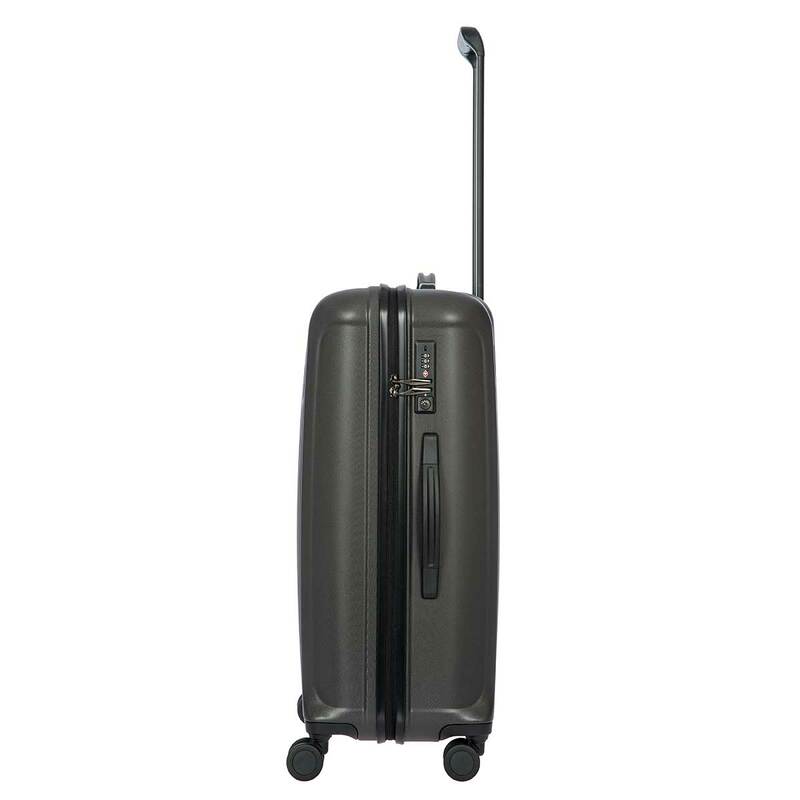 27" spinner Bric's Riccione is made from Makrolon Polycarbonate, a rigid, shock-resistant yet very lightweight material, available in the colours black, blue with glossy finish and matte grey. 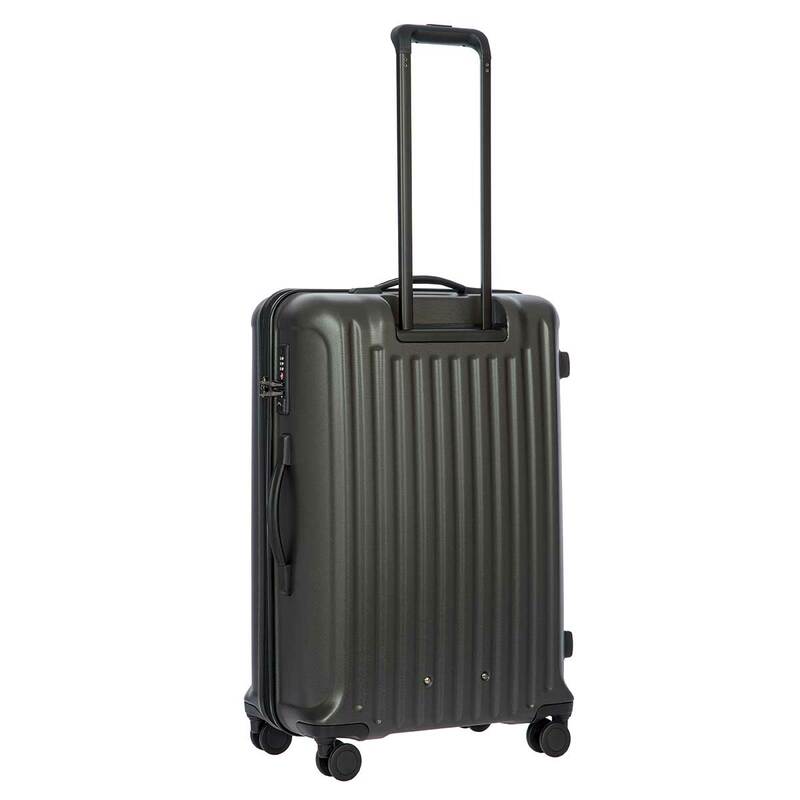 A vertical stripe pattern graces the rigid design of this spinner with practical zip closure and TSA lock at the side. The logo is positioned on the front shell, with blue corporate vertical lettering engraved on a small rectangular metal plate. The complete Riccione collection set comprises three sizes (21",27",30") that can be packed away inside one another matryoshka-style and one more larger than the others (32"). 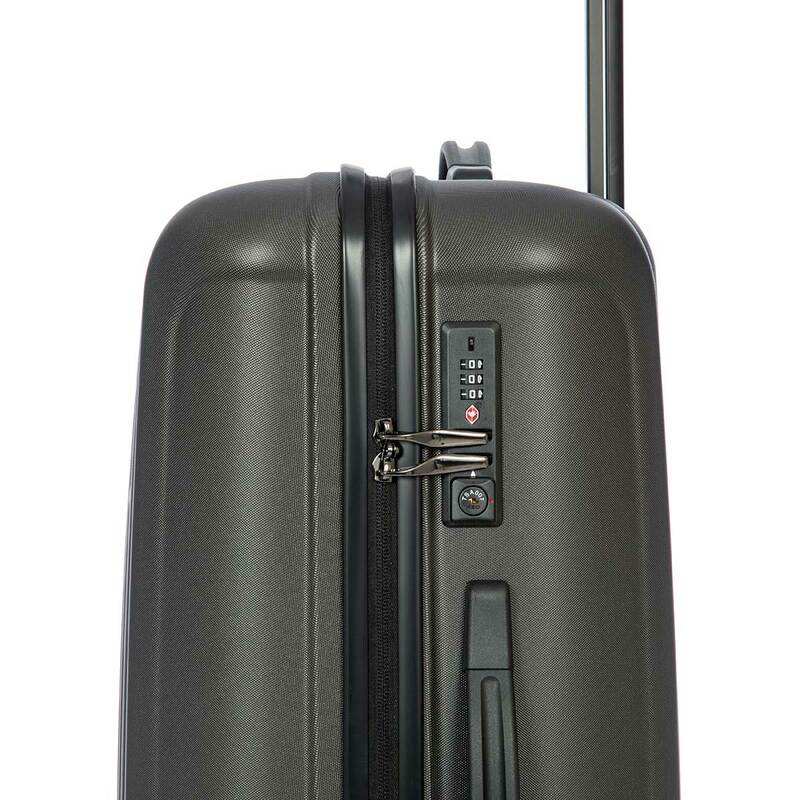 EXTERIOR: two polycarbonate shells connected by a zipper; built in TSA approved lock, which is required for traveling in the USA; four double multi-directional, silent, swivelling wheels; comfortable top and side handle that helps lifting; adjustable pull handle with silver-finish aluminium tubes. INTERIOR: medium-grey lining with luggage straps and separate mesh compartment with lining and zip; a flat zip pocket can be opened on the compartment to store small objects. 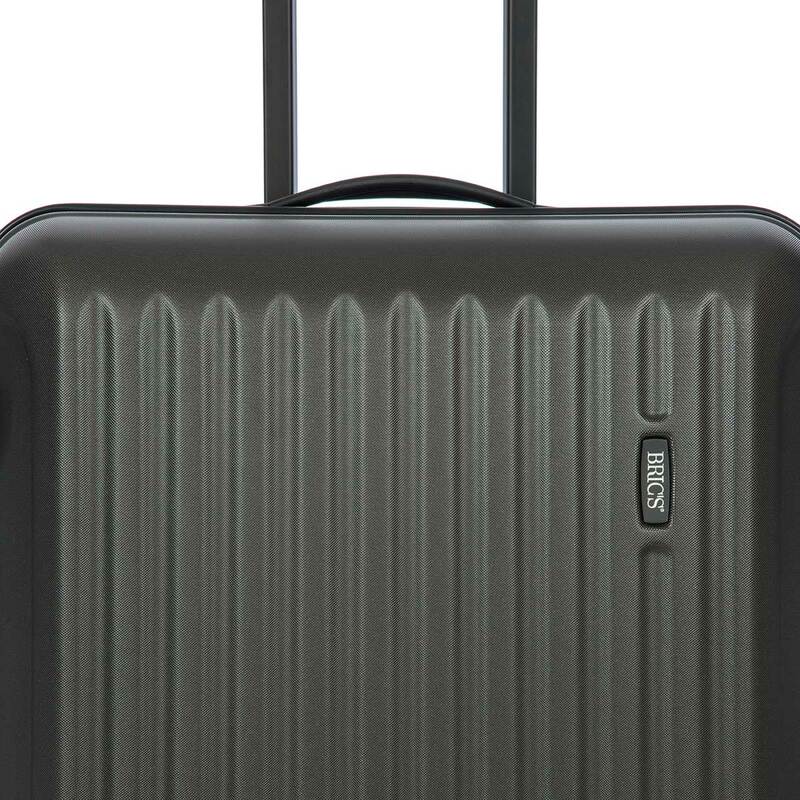 Riccione is ultra-lightweight spinners collection, constructed of a durable polycarbonate material a flexible, durable and temperature resistant – with easy glide wheels, YKK zippers – and sleek multi-state pull-up handles. 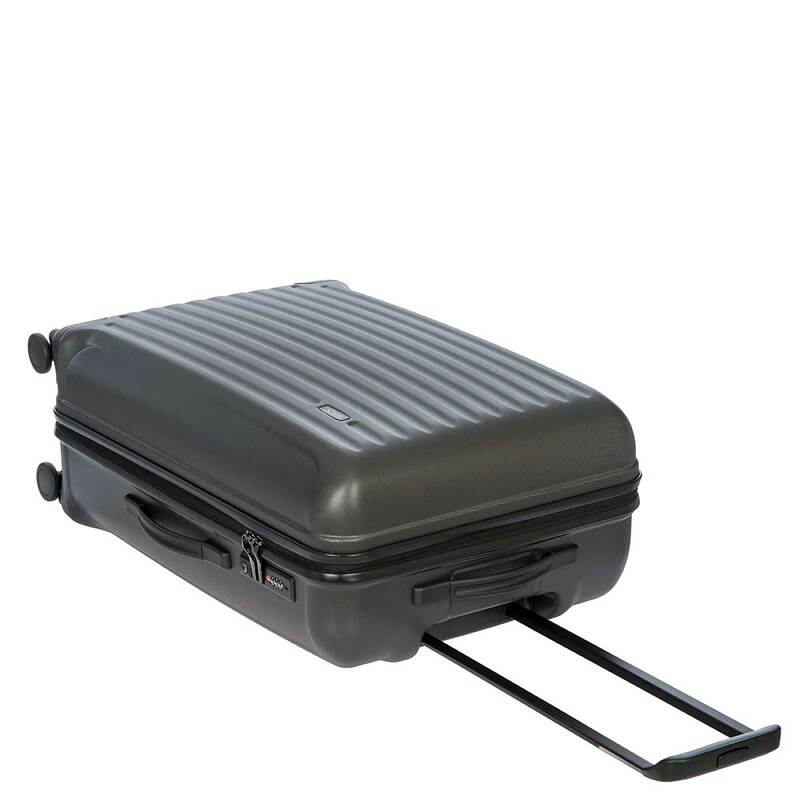 The interiors feature spacious inner compartments with stain and water-resistant nylon. Thanks to modern design and BRIC’S quality, Riccione will travel with you for years. 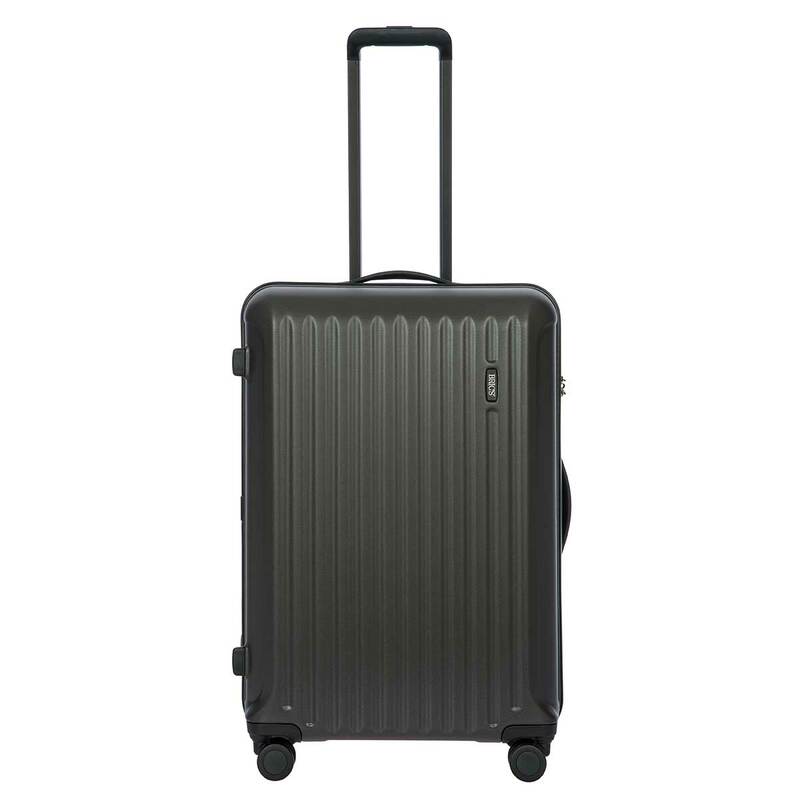 Aesthetically, Riccione is accented best by a Varese duffle, backpack, or travel tote.